At 22 metres the Fin Whale is the second biggest animal to have ever roamed this planet and we are glad to report they have arrived in the waters near Courtmacsherry, West Cork in healthy numbers. Second only to the elusive Blue Whale (30 metres) in length these huge animals are a joy to watch particularly when it’s feeding time. The team at AWWT recorded our first Fin Whale this season on July 11th 2018 and since then their numbers have built steadily with a minimum of 9 animals recorded on our trip out of Courtmacsherry on Thursday August 2nd 2018. And we are glad to report they are still in our area. Fin whales are a whale watching operators dream. 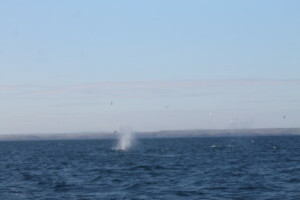 If they are in the area their huge “Blow” can be seen for miles making them easier to locate. Sometimes reaching up to 10 metres in height, in calm conditions, it can hang in the air for 10 – 15 seconds. Whaling companies used to call them the “Greyhounds of the Sea” because they were notoriously hard to catch up with. They have incredibly aero-dynamic physiques meaning that they are capable of moving at great speeds through the water. This explains why they very rarely have goose barnacles attached to their bodies as is often the case with the much slower moving Humpback whale. Undoubtedly the most incredible behaviour we have witnessed from “the Lady Patricia” this year though is “Lunge Feeding”. Peculiarly Fin whales always lunge feed on their right side. The impact that they hit the bait ball with is incredible and a must see for any avid whale enthusiast. We have witnessed this on several of our trips during the month of July. 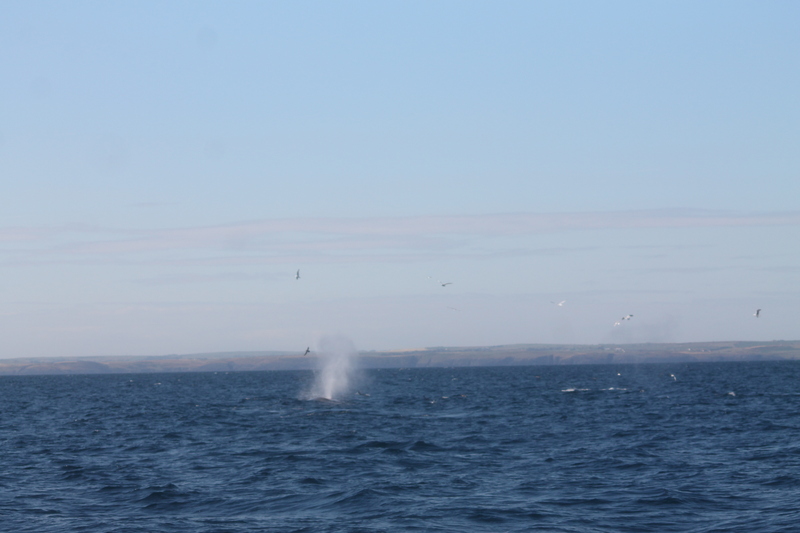 And on one memorable outing on Sunday July 22nd we had 4 whale species attacking the same bait ball. 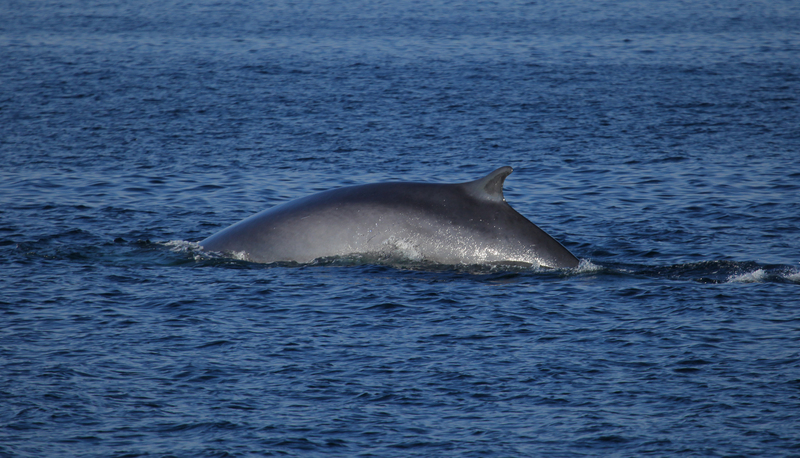 Along with the Fin whales, we also had Humpback whales, Minke whales and Common Dolphin. Traditionally these ocean giants remain in our waters right up to November/December. Hopefully this year will prove no different but with several account of their food source being depleted and overfished; we will be monitoring their numbers closely.